Only one day remains until the end of the 2018/19 WSOP Circuit Main Event at the series’ Thunder Valley stop, and the overall number of contestants has already been narrowed down from 68 to just 17. 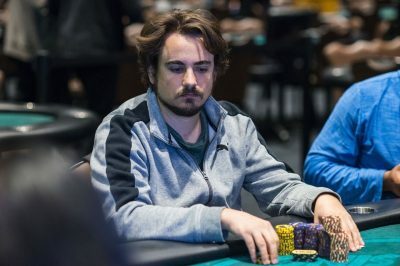 Nevada-based Jeremy Joseph is the player who is to enter the third day of the Main Event as chip leader, as he is currently on top of the pack, with 2,595,000 in chips. 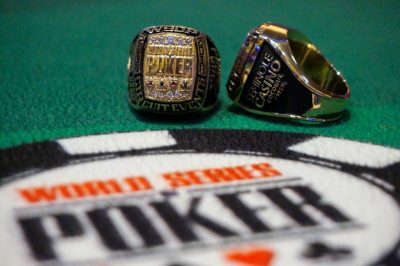 The 17 remaining players are set to return at the Thunder Valley Casino Resort to try and win the $1,700 Main Event which would bring one of them a WSOP Circuit gold ring and a $193,439 money portion of the total prize pool, as well as a seat into the season-ending 2019 Global Casino Championship. Each of the contestants who are to return for the third and final day of the Main Event is guaranteed a cash portion amounting to at least $9,718, while the ones who reach the event’s final table would get at least $17,943 in cash. The 2018/19 WSOP Circuit Thunder Valley $1,700 Main Event gathered an overall entry field of 608 players, who accounted for a prizepool totaling $921,920. The latter is to be divided between the first 63 players in the tournament. The second day of the $1,700 Main Event started with 169 players who managed to survive the two starting flights. The money bubble was burst at the 19th level of play, after Aaron Messmer who in September 2018 won the High Roller Event at the WSOP Circuit Thunder Valley was sent home by Thomas Kornechuk. This guaranteed all remaining 63 players a minimum cash portion of $3,012. The second day of the Main Event has seen some popular faces, including David Foster, Matt Affleck, Randy Lew, Tommy Chen and Craig Varnell, but unfortunately, neither one of them managed to get to the last day of the tournament. As mentioned above, it is Jeremy Joseph who has finished Day 2 of the Main Event as the chip leader, with 2,595,000 in chips. 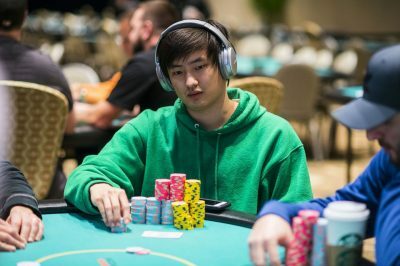 Paul Chai and Tony Bracy are not much far behind, as they will start the final day of the tournament as second and third in chips, each of them holding chip stacks of 2,450,000 and 2,045,000, respectively. Meanwhile, one of the most interesting events in the WSOP Circuit Thunder Valley series was brought to an end, with Stephen Song claiming the victory of the $3,250 High Roller event. Song managed to defeat a total entry field of 74 players to get the second WSOP Circuit gold ring in his career so far, as well as a $75,480 money portion of the overall $222,000 prizepool. Through the victory, he has also guaranteed himself a seat at the season-ending 2019 Global Casino Championship.